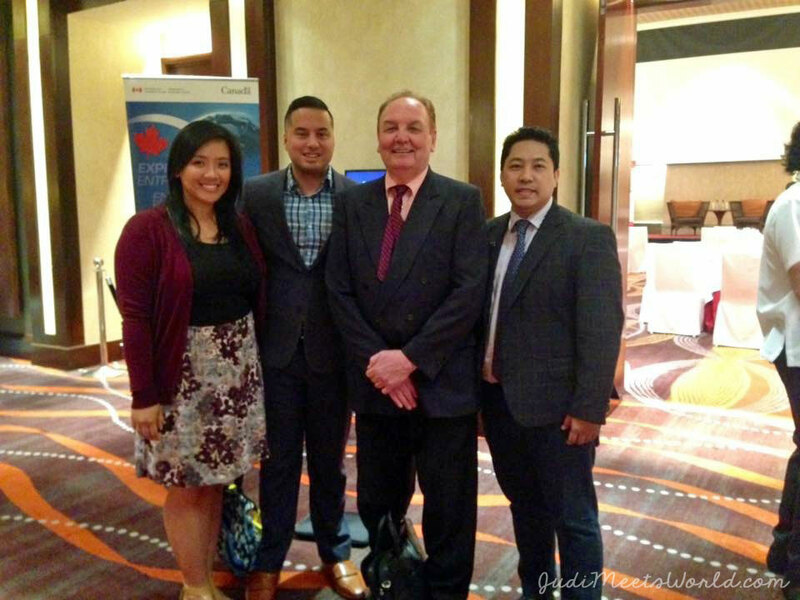 Meet CanCham – the Canadian Chamber of Commerce of the Philippines. Depending on the context in which you’ve met me, you’ll know me predominantly as a travel blogger, teacher, or columnist (the rest can be seen on my About the Girl page). A new hat I’ve put on is my role as Member-at-Large on the board of directors for the Manitoba Entry Program (ENTRY). ENTRY eases the transition for newcomers with programming and hands-on workshops/field trips. They cover lessons from public transportation, to Canadian cultural history, to the laws and healthcare services, to communication. 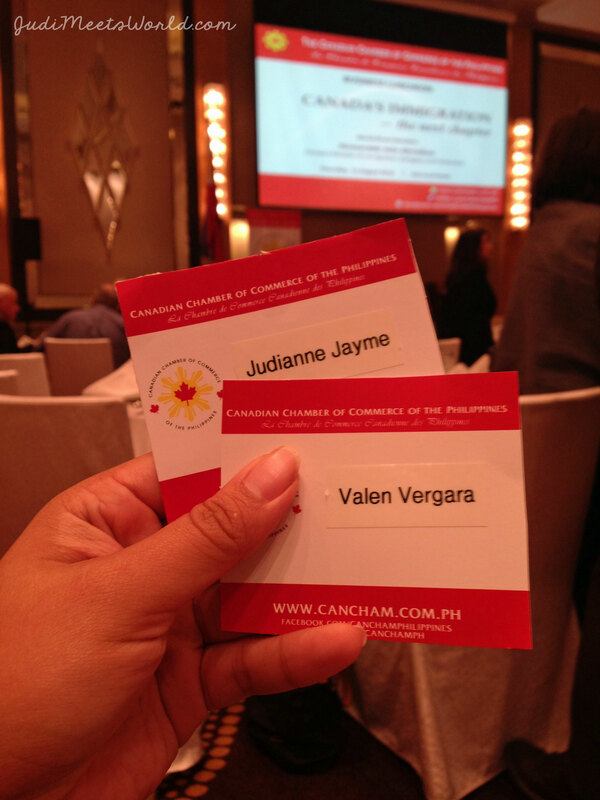 That being said, it is fitting that Valen (also on the board of directors) and I attended this event hosted by the Canadian Chamber of Commerce of the Philippines (CanCham). We made sure attended the visit from Minister John McCallum, Minister of Immigration, Refugees, and Citizenship of Canada. I will link an article outlining information from the event but will give a few mentions to those who really made us feel welcome. After all, what’s a business luncheon without networking? We enjoyed meeting each of you, and look forward to future collaborations! This couple operates two congruent businesses. 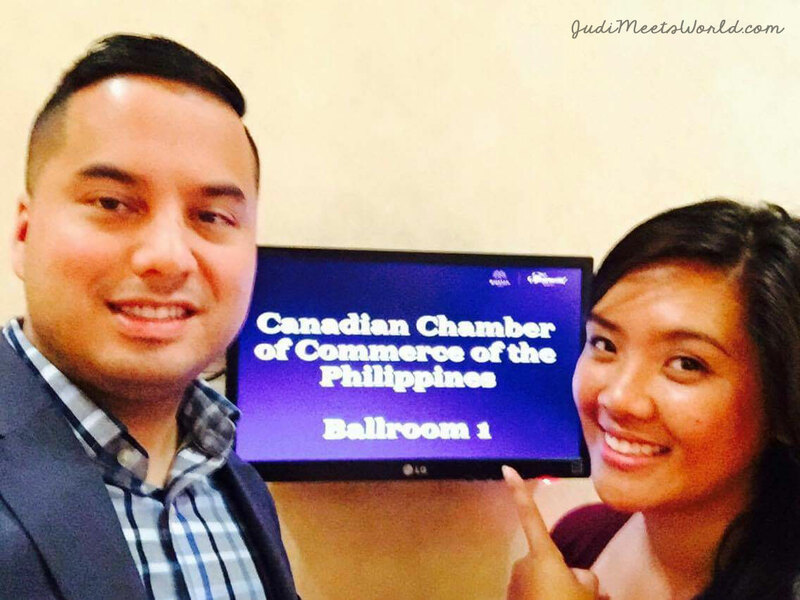 Rex is the co-founder of Deocareza & Castañeda Canadian Immigration Consultancy and Meg is operations manager of Antoine de Saint Exupery Travel and Tours. We met these two the evening before at Solaire Resort and had conversations about immigration and the immigrant experience. Open minded, critical thinkers, and putting others’ needs before financial gain; these two exemplify the heart and soul of what honest Filipino entrepreneurs should be. Mr. Payne (2nd from right) spent time before the event speaking with us and getting to know us both at a professional and personal level. He was glad to see fellow Canadians taking time to do something that matters. Passion led us here, didn’t it? We also shared travel stories and discussed Manitoba’s available programming in the influx of new immigrants and refugees. 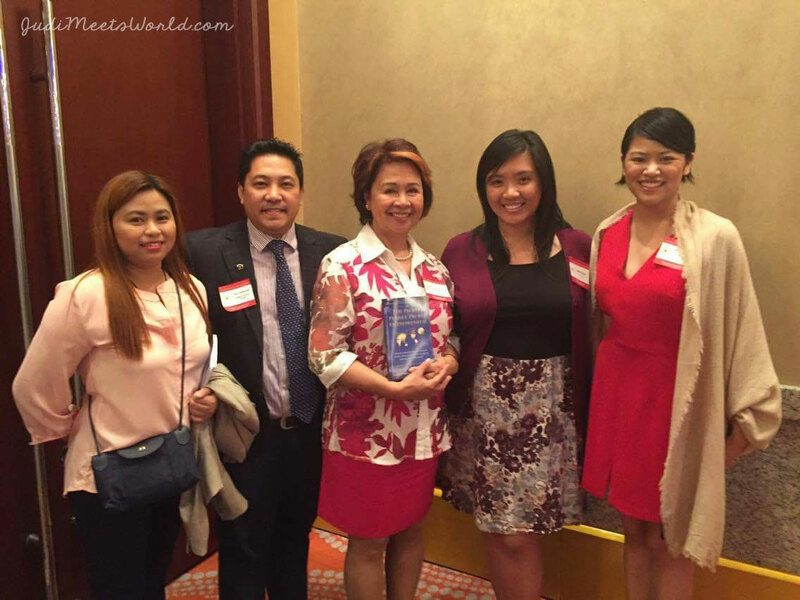 Ms. dela Cruz (below, holding the blue book) is a woman of distinction. She kept a cool exterior while organizing the tiniest of details with her team. A planner, a leader, and a welcoming host, she made sure everyone felt they were welcomed and, of equal importance, that they were heard. She also offered us some office space for our next visits! Ms. Marcelino (furthest right in photo above) and I knew each other from high school – and what a pleasant reunion catching up in Manila! She is now Manila-based as the International Program Coordinator for the federally funded Ready for Manitoba Program (RMP) through the University of Manitoba. RMP provides pre-settlement services and strategic planning for immigrants to help their integration into Manitoba. 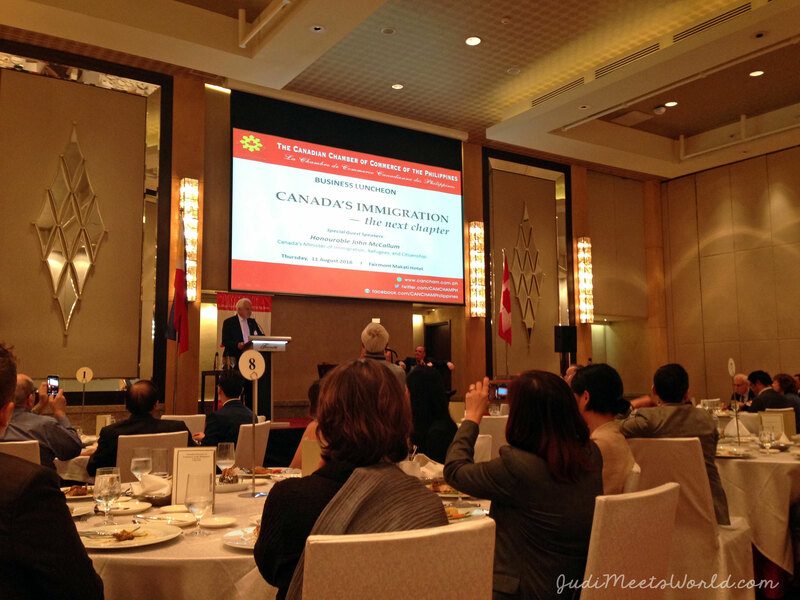 Mr. McCallum came bringing updates to Manila, acknowledging the work ethic of Filipinos abroad. We had a quick window of opportunity for dialogue and he was more than happy to hear of and encourage our initiatives. Here’s a photo of him with Valen, holding Valen’s book. 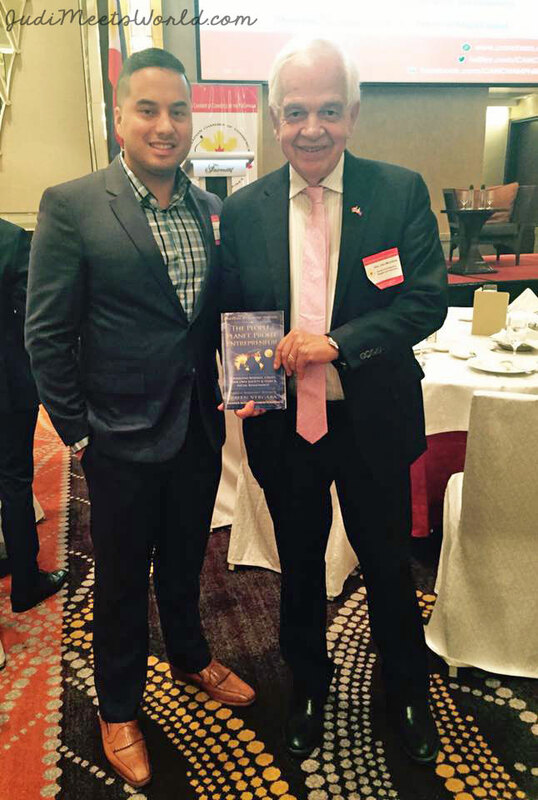 What an honour to exchange ideas and words with Minister McCallum. A big thank you, again, to everyone who invited us and made us feel at home. We’ll be in touch! Meet Solaire Resort & Casino. Meet my 2016 Manila Trip.